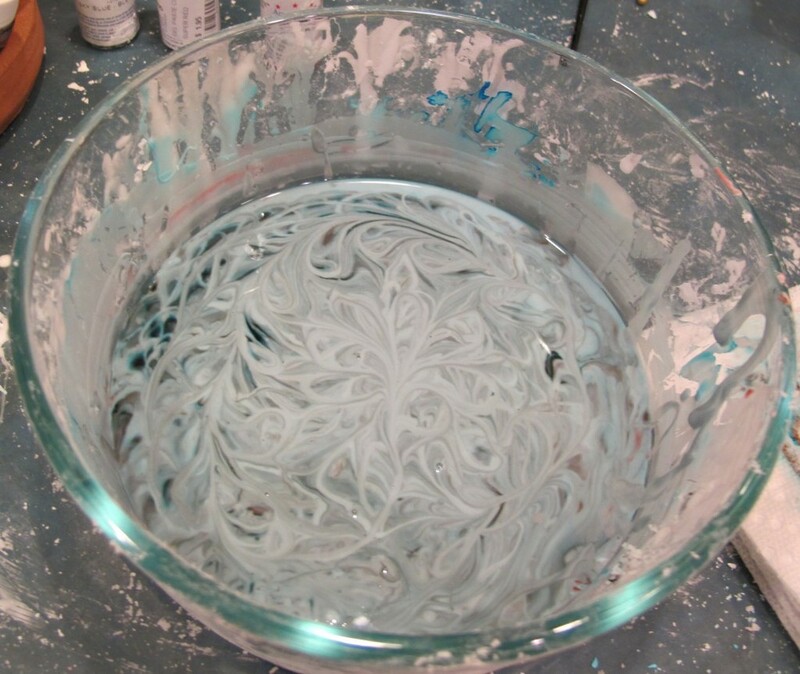 We used a strange corn starch and water mixture as our canvas and food coloring as our paint. A burst of scientific creativity struck in the kitchen. Notebook correspondent Betsy of New York had emailed us a chemistry.about.com recipe for making bouncy polymer balls from simple ingredients. Two of those ingredients were corn starch and water. Oh, we've combined those two before, said a member of The Naturalist's Notebook's Spontaneous Creativity Team. Another team member said that a mixture of corn starch and water, blended in the right ratio, takes on a bizarre texture—not exactly solid, not exactly liquid, and oddly plastic-like in its feel. Out came a mixing bowl and a box of corn starch. The kitchen started to get messy. The white glop in the bowl quickly turned to an alien substance. "The size, shape, and makeup of the corn starch grains cause the corn starch to 'lock up' and hold its shape when pressure is applied to it. People have filled small pools with oobleck and they are able to walk across the surface of it (as long as they move quickly.) As soon as they stop walking, they begin to sink." Lest you think Isaac Newton didn't know his laws of science, the mixture we're discussing is more precisely described as a "suspension" of undissolved corn starch particles in water. That suspension will separate if left untouched and thus is not a pure liquid. But we were more concerned with doing something creative than with defying the greatest genius in science history. We brought out little vials of food coloring and began making art. I'll let the photos and captions tell the rest. From the surface emerged a blue bird's head, facing up, with its beak open. We spun the bowl to create spirals and other curling shapes. We made prints by quickly patting paper on the surface. We made a bird print on a paper towel. This print looked like marbled paper. By drizzling a thin stream of the mixture on top, we created lacy, three-dimensional looks. This looked like a bowl of spaghetti when we were done. A pointed knife became a fine-haired paint brush. Though the art we created was ephemeral, like a cloud formation or an Andy Goldsworthy arrangement of leaves and flowers in a stream, there was a sense of creative freedom in the impermanence. And at the end, unlike during some painting sessions, the mess cleaned up easily with water. We never did get to make the polymer balls, a science project of its own. But, as sure as Newton's laws of motion hold true, we will. Football (Part I) The Carolina Panthers NFL team has announced that it is tweaking its logo to make its panther look more aggressive and contemporary. The trend in sports animal logos has been to make the creatures more fierce, usually with bared teeth and wild eyes. The changes in this logo are so subtle that they test one's powers of observation. See if you can identify the changes in the Panthers' logo. The old one is on top. In our relationship with panthers, of course, humans are probably the ones who should be portrayed as wild eyed and aggressive. The "contemporary" reality for most types of big cats is that they're disappearing. On January 27 the world lost a wonderful writer and nature lost an irreplaceable voice. My former Sports Illustrated colleague Bil Gilbert died at age 84, leaving behind many great friends and memories (see my own friend Bob Sullivan's personal reminiscence: http://sportsillustrated.cnn.com/more/news/20120130/bil-gilbert/index.html) as well as a substantial journalistic legacy: from books such as Our Nature and How Animals Communicate to more than 400 magazine pieces for SI and Smithsonian. The Washington Post called him "our best full-time environmental journalist." If you search the SI Vault for past stories, you'll come across pieces that reflect how environmentally minded SI used to be. For example, one of Bil's 1971 pieces was headlined WHO SEZ-Z-Z-Z-Z MAN IS THE DOMINANT SPECIES? CERTAINLY NOT THE WORLD'S 800,000 DIFFERENT KINDS OF INSECTS. DINING WITH GUSTO ON THE POOR OUTNUMBERED HUMAN AND LAUGHING AT HIS POISONS, THE BUGS PREPARE FOR THEIR FINEST HOUR—THE SUMMER, WHEN MANKIND MOVES OUTDOORS. In that age of a very different SI, Bil wrote about Tasmanian devils and disastrous Secretary of the Interior James Watt, and also did a 1973 SI cover story billed WOMEN ARE GETTING A RAW DEAL that had a powerful impact on the growth of women's sports. But you'd be best served by finding one of Bil's pieces, or books, and enjoying the man himself. 1) There are about 30,000 quills on an adult porcupine. 2) Light travels from the Moon to the Earth in just over one second. 3) It is true that the word halcyon, meaning a peaceful, happy period, comes from the Greek word for a kingfisher bird, which in Greek mythology was given the power to calm the weather and the seas while it laid its eggs. 1) What is the highest altitude ever reliably recorded for migrating butterflies? 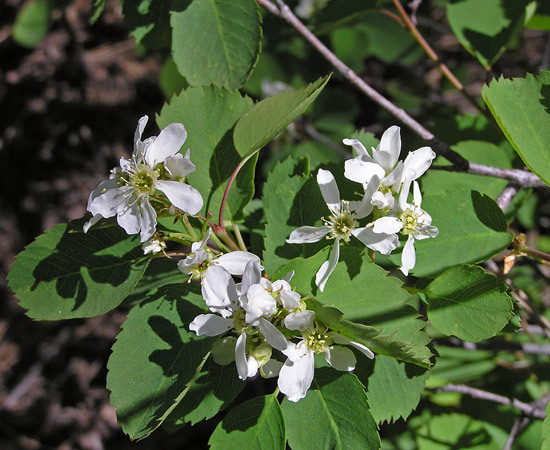 2) Why was the shrub below given the name serviceberry?